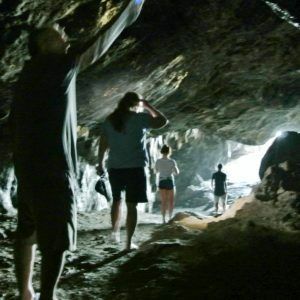 Hawaii Real Nature Tours offers some of the best group and private tours on all of Oahu. Our tours and snorkeling expeditions will take you to some of the most hidden and popular sightseeing spots, best beaches and sought after scenery showcasing our beautiful island. Many times we find that after one of our tours or snorkeling tour adventures many of our guests ask for advice on any activities or things to do on their own, or that are less known about and that don’t require a guide. While we love providing our guided tours, we know that setting out on your own adventure is always fun! Check out our list of activities you can do with your family or other travel companions! Kaiwa Ridge & PillBox Trail – Found near Kailua, this 3.2 mile trail can be somewhat narrow and a bit rocky for some. It is best to wear proper climbing and hiking footwear and may not be for all people. However, if you do hike this trail you will reach a pair of concrete bunkers dating back to World War II where you can see incredible views of Kailua & Lanikai. Be careful and always have a travel buddy with you. Don’t attempt the trail alone. Makapu’u Lighthouse Trail – This easy to walk trail is generally accessible by almost anyone. With spots to rest throughout the trail it is a nice walk to the original Makapu’u Lighthouse that was constructed in 1909. Also known as one of the prime spots for whale watching during the winter months. Mokulei’a Beach Park – Most of Oahu visitors will find themselves on the overcrowded beaches of Waikiki trying to soak up the sunshine and find a spot to swim in the water. This beautiful beach found on the Northshore is a long stretch of beach that is rarely ever crowded and often can be enjoyed with only a handful of other beach goers around. Be careful in the winter months when the large swells come in the waves can get rather big. It is best then to admire the beach and views from the shoreline unless you are an experienced surfer. Keawaula Beach – Another beautiful secluded beach you can find this stretch of sand on the Leeward side of the island. Take Farrington Highway to a small spot before the road ends at Ka’ena point. It is the Northernmost beach on the west shores of Oahu and offers an exquisite green mountain backdrop. Ka’ena Point Trail – This rocky coastal trail will take you to the western tip of the island where you are sometimes able to spot the endangered Hawaiian Monk seal. It’s a 4.8 mile very hot and often dry trail so make sure to take sun protection and LOTS of water. Koloa Gulch – you are able to find an 8 mile trail here that will take you through the tropical foliage of Hau’ula Valley, through streams that eventually end at a magnificent 100 foot waterfall. Encompassing the waterfall is a freshwater pond that is the perfect place to take a dip to cool off after your 8 mile trek. Pearl Harbor – One of the most sought after attractions on Oahu with many travelers coming from near and far to visit this historical monument, Pearl Harbor, is of course a must see. While it is definitely not a hidden attraction many people may not know just how special of a site Pearl Harbor is. The visitor center is operated by the National Parks Service and is open daily from 7am-5pm. Here you can take a free tour every 15 min to learn about the fateful day, Dec. 7,1941, that started World War II. The USS Arizona went down in these waters when it was bombed by Japanese naval forces. The USS Arizona Memorial has been built over the sunken remains that can still be found below sea today! USS Missouri – This incredible American battleship was the last battleship to be built, and is known as “Mighty Mo”. With the Japanese surrendering on this ship’s deck World War II finally came to an end. Narrated Tours are available and are available everyday. Oahu is an island with many things to do and treasures to be seen and shared. Whether you are enjoying a guided, group or private tour, exploring the island on your own, or simply in the planning stages of your Hawaiian vacation, there is no shortage of sites and tropical beauty to be seen and enjoyed. Should you have any questions about our sightseeing tours, snorkeling adventures or photography tours, give us a call. Hawaii Real Nature Tours looks forward to sharing the beauty and adventures of Oahu with you! Contact us today to check on rates, availability and different tour packages, or book online.